This is off-topic but it's great. We might need to amend io9's list of Greatest Female Samurai and Ninjas to include Kacy Catanzaro. 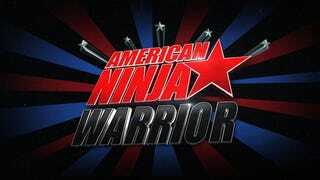 She became the first women to ever qualify for the final stage of American Ninja Warrior known as Mt. Midoriyama. Catanzaro made history with every obstacle she completed during the second stage of the course Monday night in Dallas. Here's a video of her amazing run. Just for fun I played out my own run in my mind. I got past the first obstacle, but when the Log Grip dropped I went right in the water. Maybe next year for me.